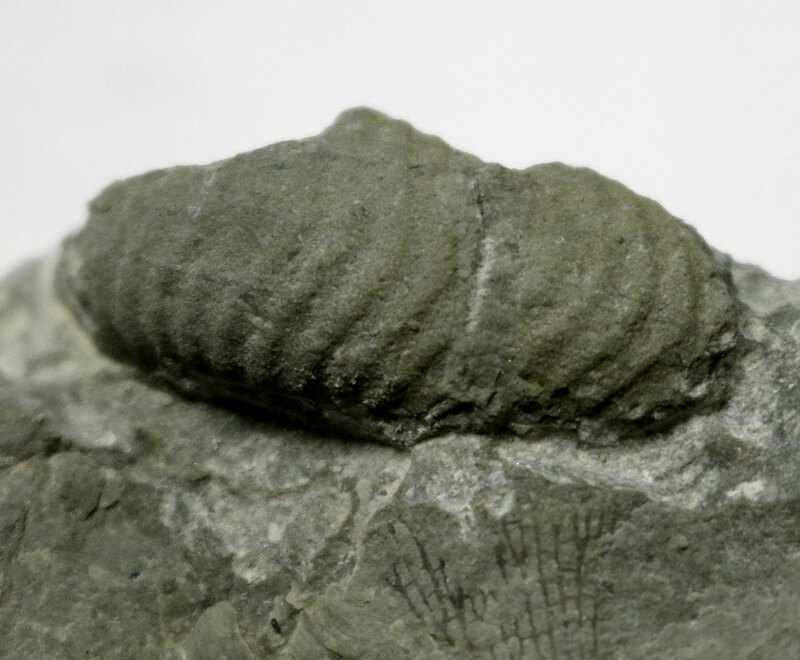 Unidentified Waldron Shale fossil found in Clark County, Indiana, USA. It dates to the Silurian Period. I think it might be some sort trace fossil. Maybe some sort of Ruscophycus or Arthrophycus trace fossil? UPDATE (2018/01/15): A visitor Todd H. left me a message suggesting this might be a cephalopod Bickmorites. 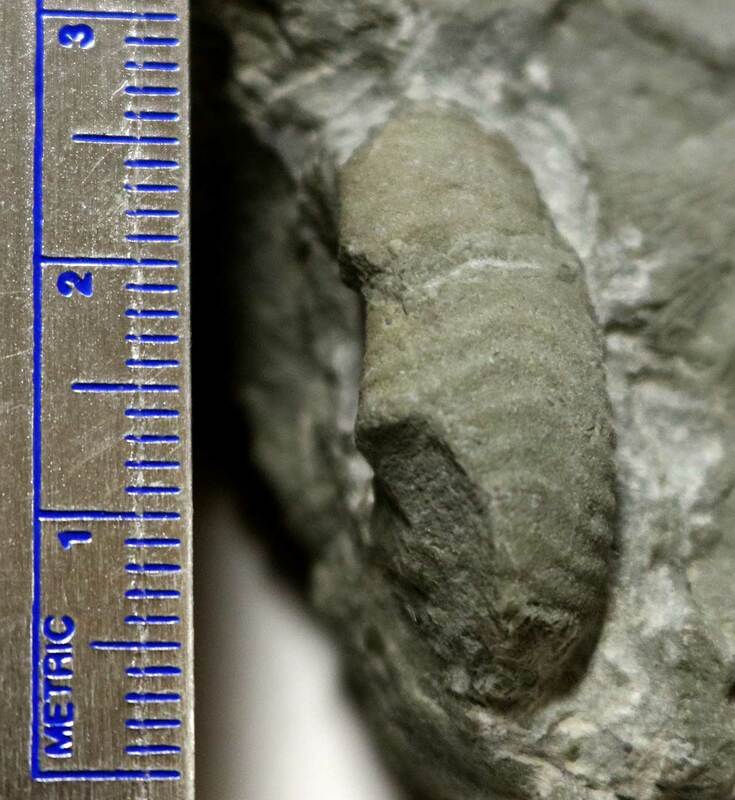 He has found in Silurian Laurel Dolomite and they are also found in Scott County Indiana. This identification seems valid though I cannot find this genus as appearing in the Waldron Shale before. 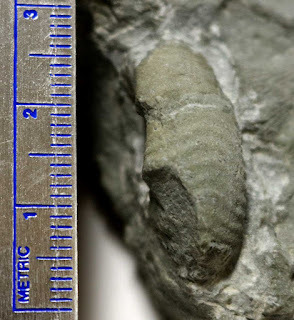 My cousin Kenny suggest it might be part of the cephalopod Trochoceras which as been linked to this layer. See image at this web site http://chestofbooks.com/science/geology/Intro/The-Life-Of-The-Silurian.html. I did an image search and the pattern reminds me of a Silurian Goniatites (again I don't think these were ever found in the Waldron Shale.) See this image for plates show this fossil: http://www.codex99.com/illustration/systeme-silurian.html.